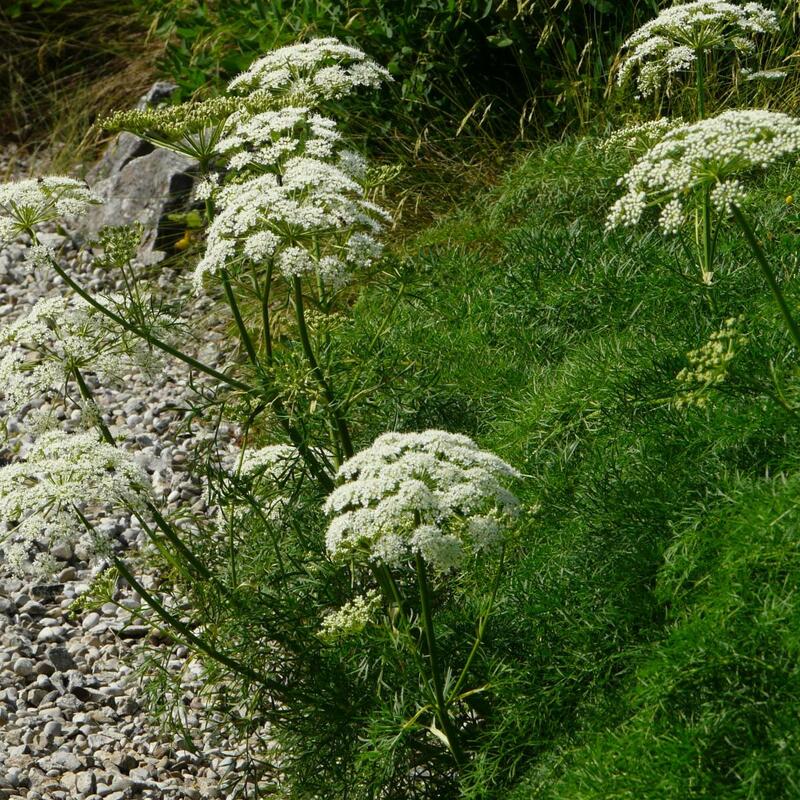 Ligusticum lucidum is an excellent tough umbellifer with handsome, finely dissected pale green foliage, on top of which branched stems of large white umbels appear in early summer. 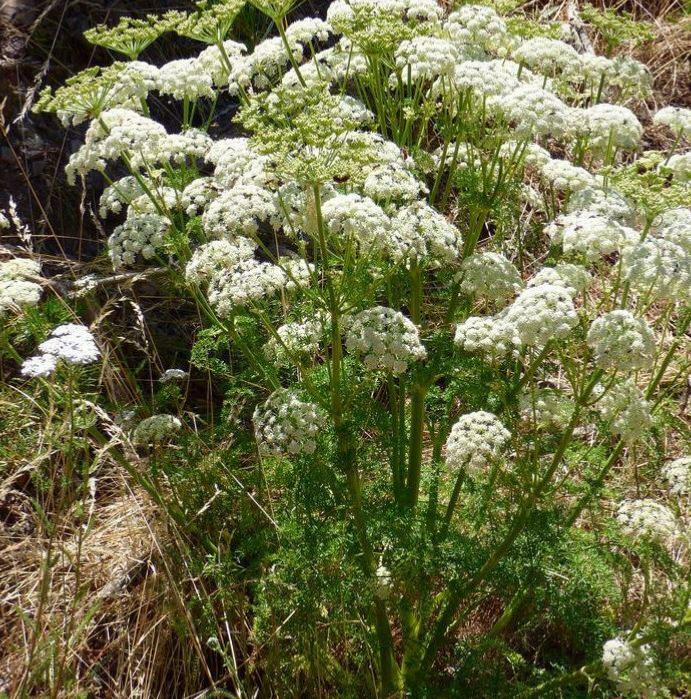 The strong self-supporting flower stems rise to 100cm in early summer. This delightful relative of the cow parsley comes from Spain where it is used to quite dry and hot conditions, but Ligusticum lucidum seems happy anywhere that is not too wet and will be happy to naturalise gently, given the correct conditions. As a pollinator plant, it is a good fit for wildlife gardens, and has a subtle and yet modern architectural appeal which will work well with contemporary borders as well as in naturalistic meadows, and it combines well with other tall prairie perennials and flowering ornamental grasses. 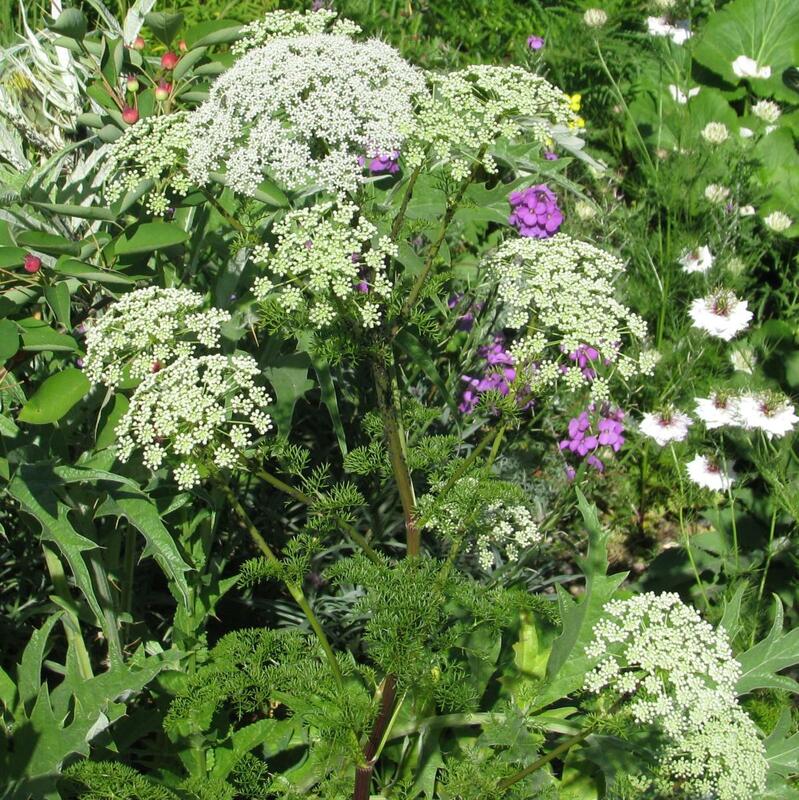 A very easy umbel to grow. Expect it to provide foliage effect for a couple of years before flowering, after which it may die, giving way to seed for a new generation.